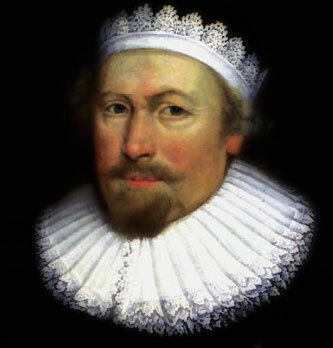 Richard Sibbes (1577-1635) was born in Tostock, Suffolk, where his father was a wheelwright; other sources say Sudbury. He attended St. John’s College, Cambridge from 1595. He was lecturer at Holy Trinity Church, Cambridge, from 1610 or 1611 to 1615 or 1616. It is erroneously held by 18th and 19th century scholars that Sibbes was deprived of his various academic posts on account of his Puritanism. In fact he was never deprived of any of his posts, due to his ingenuity of the system. He was then preacher at Gray’s Inn, London, from 1617, returning to Cambridge as Master of Catherine Hall in 1626, without giving up the London position. Isaiah 42:3; Matthew 12:20. Presented as an individual title (it is part of volume 1 of Sibbes’s Works, below). Available as an individual title below. 11. The Saints’ Hiding-Place in the Evil Day. Contains a commentary on 2 Corinthians 1. 1. A Christian’s Portion (or, The Christian’s Charter). 1 Corinthians 3:21-23. 2. The Spiritual Man’s Aim. 1 Corinthians 7:29-31. 3. The Right Receiving. 1 Corinthians 11:28-29. 5. Yea and Amen (or, Precious Promises and Privileges). 2 Corinthians 1:19-23. 6. A Glance of Heaven (or, A Precious Taste of a Glorious Feast). 1 Corinthians 2:9. 7. The Excellency of the Gospel Above the Law. 1 Corinthians 3:17-18. 8. Exposition of 2 Corinthians 4. 1. The Christian Work. Philippians 2:12-16. 2. Of the Providence of God. Philippians 2:24-30. 4. The Redemption of Bodies. Philippians 3:21. 5. The Art of Contentment. Philippians 4:11-13. 6. The Power of Christ’s Resurrection. Colossians 3:1. 7. The Hidden Life. Colossians 3:3-4. 8. The Spiritual Jubilee. Romans 8:2. 9. The Privileges of the Faithful. Romans 8:28. 10. The Christian’s End. Romans 14:7-8. 11. Christ’s Exaltation Purchased by Humiliation. Romans 14:9. 12. The Life of Faith. Galatians 2:20. 13. Salvation Applied. Galatians 2:20. 14. A Fountain Sealed. Ephesians 4:30. 15. The Fountain Opened. 1 Timothy 3:16. 1. The Faithful Covenanter. Genesis 17:7. 3. The Spiritual Favourite at the Throne of Grace. Nehemiah 1:11. 4. The Successful Seeker. Psalm 27:8. 5. A Rescue from Death, with a Return of Praise. Psalm 107:17. 7. The Church’s Complaint and Confidence. Isaiah 64:6-8. 8. God’s Inquisition. Jeremiah 8:6-7. 9. The Rich Poverty (or, The Poor Man’s Riches). Zephaniah 3:12. 10. Spiritual Mourning. Matthew 5:4. 11. Violence Victorious. Matthew 11:12. 12. Angels’ Acclamations. Luke 2:13-14. 13. The Fruitful Labour for Eternal Food. John 6:27. 15. A Heavenly Conference Between Christ and Mary After His Resurrection. John 20:16. 16. King David’s Epitaph. Acts 13:36. 17. Lydia’s Conversion. Acts 16:14-15. 18. The Bride’s Longing (or, The Bridegroom’s Promises and the Bride’s Prayer). Revelation 22:20. 1. Balaam’s Wish. Numbers 23:10. 2. The Unprosperous Builder. Joshua 6:26. 3. The Vanity of the Creature. 2 Samuel 19:34-38. 4. Discouragement’s Recovery. Psalm 43:5. 5. The Saint’s Happiness. Psalm 73:28. 6. David’s Conclusion (or, The Saint’s Resolution). Psalm 73:28. 7. The Church’s Blackness. Song of Solomon 1:5-6. 8. Miracle of Miracles. (Two sermons on Isaiah 7:14). 9. The Touchstone of Regeneration. Isaiah 11:6-9. 10. The Discrete Ploughman. Isaiah 28:23-29. 11. The Matchless Mercy. Micah 7:18-20. 12. The Sun of Righteousness. Malachi 4:2-3. 14. The Knot of Prayer Loosed. Matthew 7:7-10. 15. The Rich Pearl. Matthew 13:45-46. 16. Sin’s Antidote. Matthew 27:28. 17. The Success of the Gospel. Luke 7:31-35. 18. Mary’s Choice. Luke 10:38-40. 19. The Christian’s Watch. Luke 12:37. 20. The Coming of Christ. Revelation 16:15. 21. The General Resurrection. John 11:23-24. 22. Prayer. (Two sermons on John 14:1.) These were Sibbes’s last two sermons preached. 23. The Saint’s Privilege. John 16:8-10. 24. The Witness of Salvation. Romans 8:15-16. 25. St. Paul’s Challenge. Romans 8:31. 26. The Dead Man. Ephesians 2:1. 27. The Danger of Backsliding. 2 Timothy 4:10. 28. Faith Triumphant. Hebrews 11:13. 29. The Ruin of Mystical Jericho. Hebrews 11:30. 30. The Demand of a Good Conscience. 1 Peter 3:21. 31. A Glimpse of Glory. 2 Peter 1:3. 32. The Pattern of Purity. 1 John 3:3. 33. The Beast’s Dominion Over Earthly Kings. Revelation 17:17. 34. The Church’s Echo. Revelation 22:17. 35. Antidotum Contra Naufragium Fidei et Bonae Conscientiae. 2 Timothy 1:14. Entirely in Latin. Presented here as in individual title (it is part of volume 7 of Sibbes’s Works above). Psalm 42. Presented here as in individual title (it is part of volume 1 of Sibbes’s Works above).